Maleny is the perfect location for a romantic Valentine’s Day getaway picnic – pure mountain air, panoramic views and rolling countryside provide the idea backdrop for romance to blossom. Grab a picnic basket from our store and head off to one of the beautiful locations in the area for a memorable Valentine’s Day picnic with your significant other – visit for the day and you will wish that you were a local. Creating enviable cheese packs and picnic baskets is one of our specialities at Maleny Food Co. We select gourmet cheese and cured meats from our fromagerie and bring together local produce to bake delicious fresh food that is ready to go. Check out Vintage Picnics if you need help creating that perfect romantic moment. Here are four of our favourite romantic picnic spots in Maleny. Nothing says romance more than a country picnic among the native trees and lush paddocks. 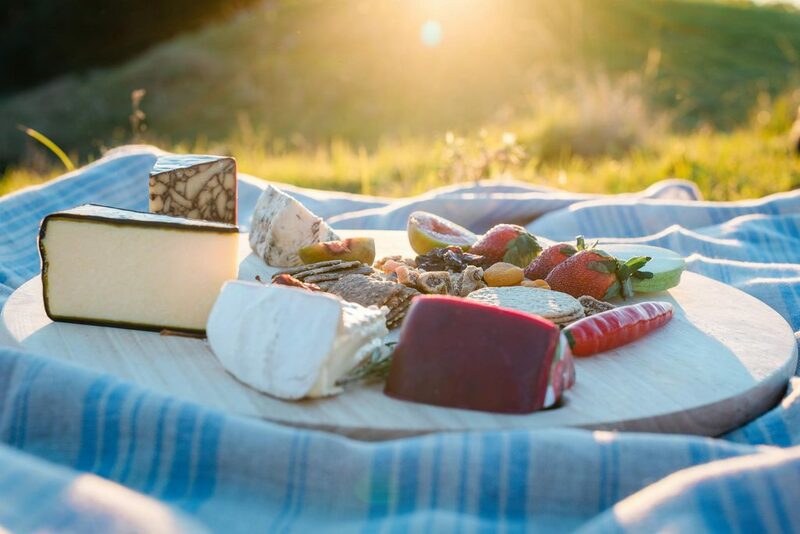 Relax at a private picnic spot on a traditional working dairy farm in Maleny with a delicious, gourmet picnic made by Maleny Food Co. If you would like to have your picnic On the Farm at Maleny prior bookings are required, send them a message on Facebook – Click here. 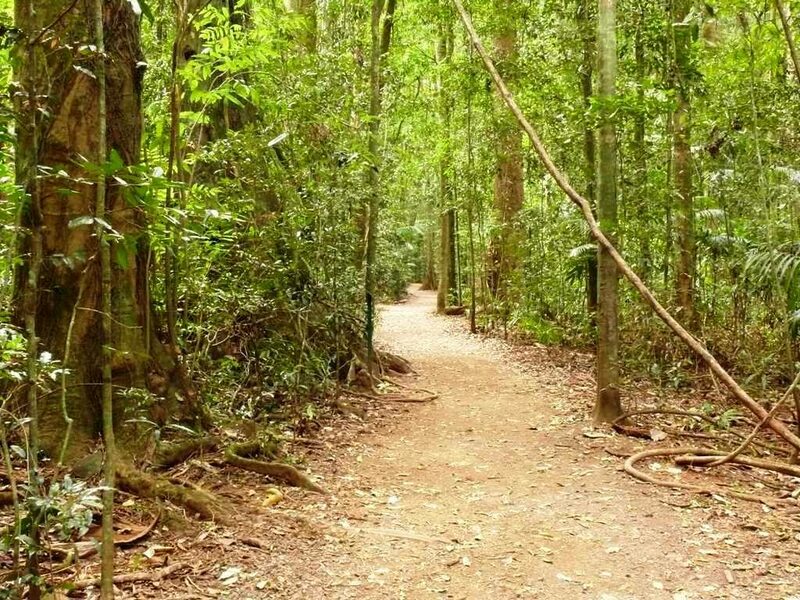 Image above: The rainforest walk at Mary Cairncross Scenic Reserve. Imagine the beauty of 55 acres of subtropical rainforest overlooking the Glass House Mountains as a setting for your hinterland picnic escape. Bursting with diverse plant and animal life, there are also tranquil walking tracks, boardwalks and lookouts. Opposite the park, you’ll get incredible views back over the glasshouse mountains National Park and there’s a large reserve area with plenty of picnic tables in good supply. Image above: The view from Mc Carthy’s Lookout. Known for its views of the famous Glass House Mountains, McCarthy’s Lookout is the location of the first farmhouse in Maleny. Featuring a small sheltered area perfect for romantic picnics, the lookout faces east towards the Blackall Range and Glasshouse Mountains. 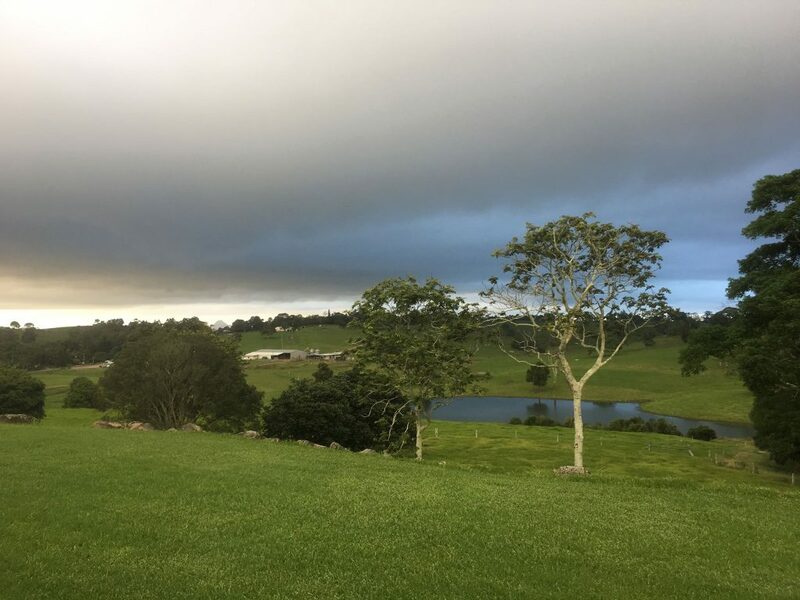 Be rewarded by a glorious sunset or the rolling storm clouds at one of the most romantic Maleny destinations. Image above: Gardners Falls in all it’s glory. Just a short walk will take you to one of the Sunshine Coast’s hidden gems. Gardners Falls is downstream of Obi Obi Creek and boasts rock pools perfect for a freshwater swim. Cool off under the falls before finding a shady spot to enjoy your Valentine’s Day picnic.